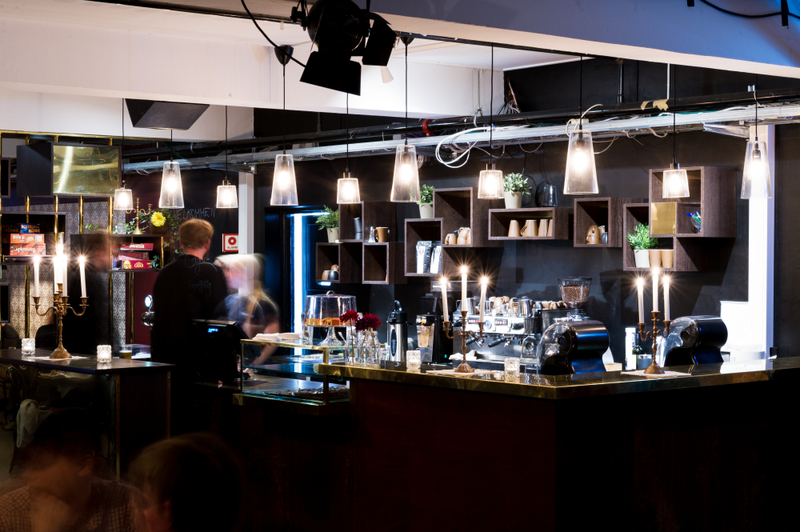 Characterized by its warm atmosphere, Edgar is Studentersamfundet's café. The venue is named after Edgar B. Schieldrop, Samfundets first leader. Here you can enjoy a good cup of coffee while reading the daily Norwegian newspaper or the best European weekly newspapers. You can also challenge your friends in board games from our wide selection. The turntable spins LPs with calm and exciting music in our nostalgic and timeless setting. If you crave something sweet, you can taste our popular chocolate cake. In addition to this, snacks, sandwiches and a selection of baked goods are also sold in Edgar. Every Tuesday at 19:00 you can sharpen your brain cells on quiz and win great prizes. If you participate with the same team every week, you can compete against other teams and gain a ranking on the leaderboard. It's recommended to arrive early - the quizzes in Edgar are popular and sitting space is limited! The members in the winning team get a Lyche-burger each! Thursdays we have concerts where Trondheim's young and emerging artists are represented. The music played is in most genres - ranging from rock and pop to folk and blues. Stop by, have a cold drink, and enjoy the show! See www.samfundet.no for current information about the concerts. Team up with up to four friends and take part in our Music Quiz on Fridays at 20.00! With varied categories ending in a meadley-quiz, we promise you a challenging quiz and an enjoyable evening. What does REM stand for? Who and how many left-handers were in The Beatles? What is DumDum Boys' vocalist Prepple's real name? Visit Edgar, and test your knowledge!